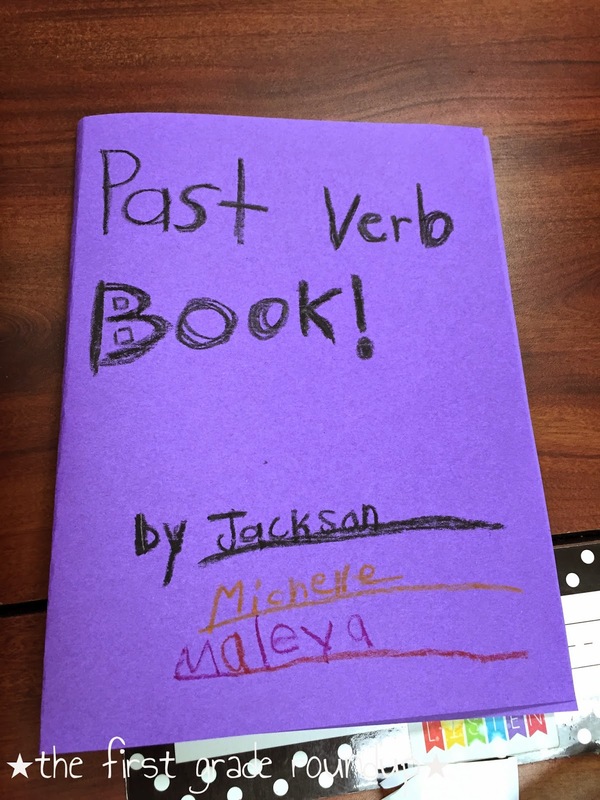 With the high ESL population at our school, language skills like verb tense is a real issue. 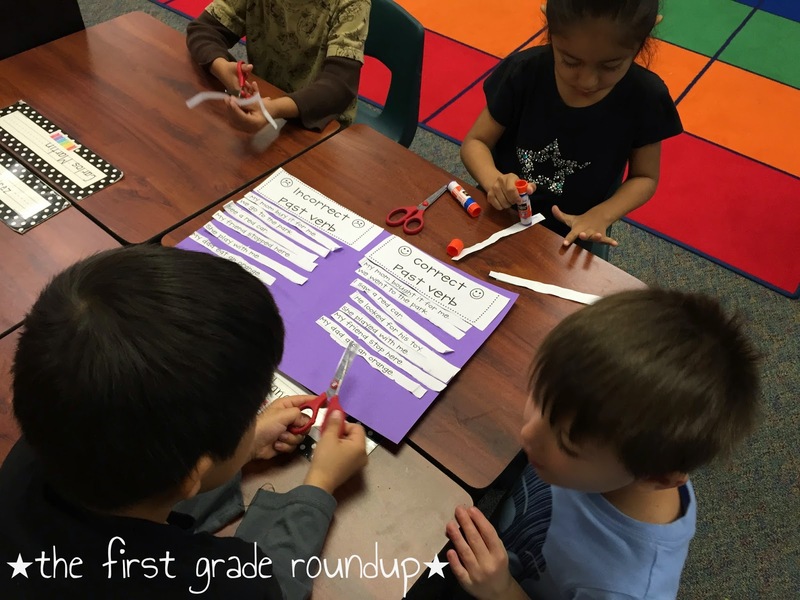 And, unfortunately, it's not as noticeable when we do informative or opinion writing because we use so many sentence frames to help them write. But narrative is more of a "free form" style and so language errors happen A LOT! The first thing we have to master is verb tense. 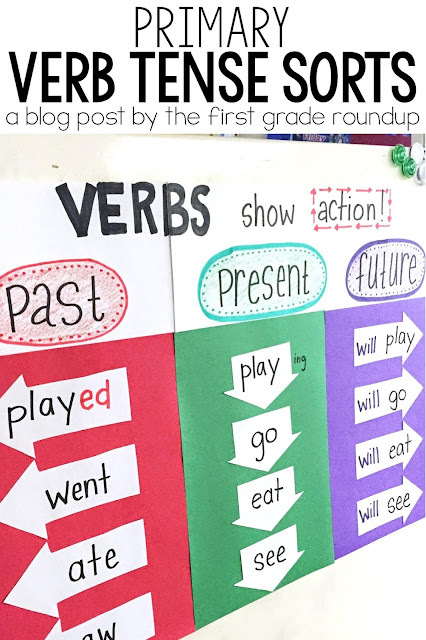 Even my English kiddos struggle with some of the irregular verbs, so these lessons are perfect for all of my firsties. So, last week, we spent the week focusing on verbs. 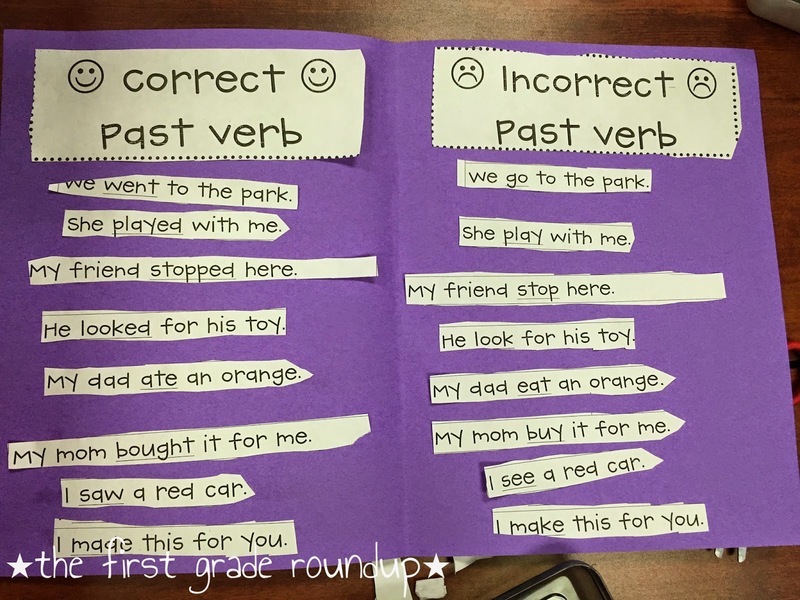 The first day, we talked about the difference between past and present tense. We discussed the common past ending -ed and how they indicates something already happened. Then, we charted an example of a common past verb and several "weirdos," or verbs that don't follow the -ed rule. And one group just had to make theirs into a book, so how could I not take a picture of that cuteness?!?! 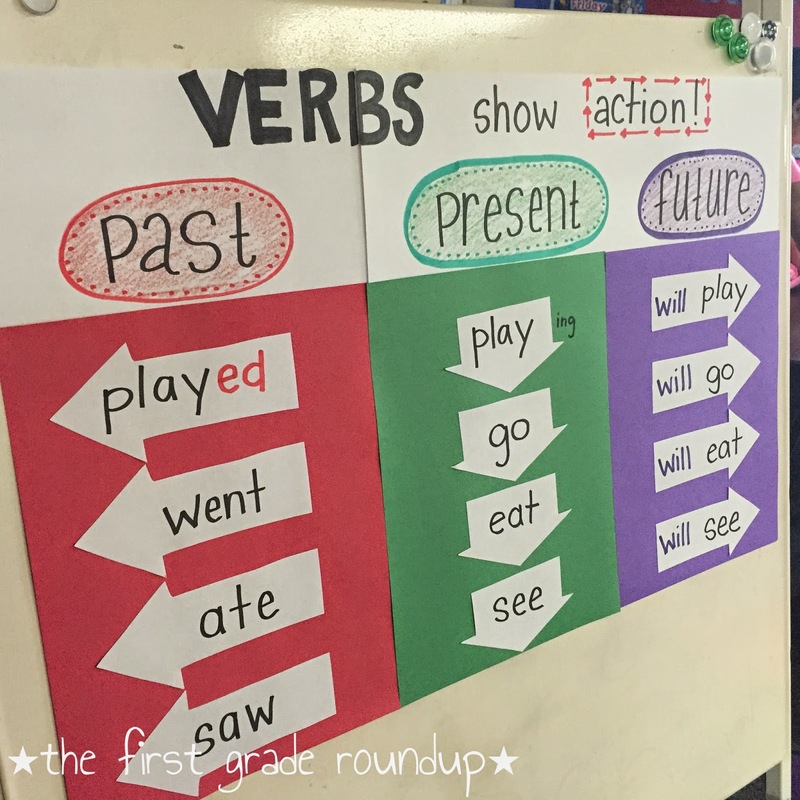 The next day, we introduced future verbs and they did another sort with past, present, and future tense. Of course, I ran a fever that day for like the first time in FOR. EVER. so my intern took over and I didn't get any pics! 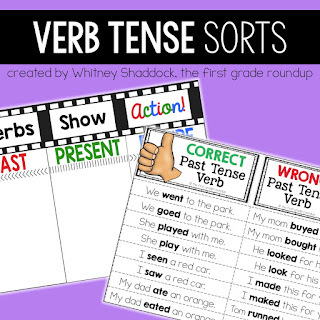 We spent the rest of the week modeling verb tense in our model writes during writers workshop and using our "check yourself" language rubric to grade ourselves on our verb tense! 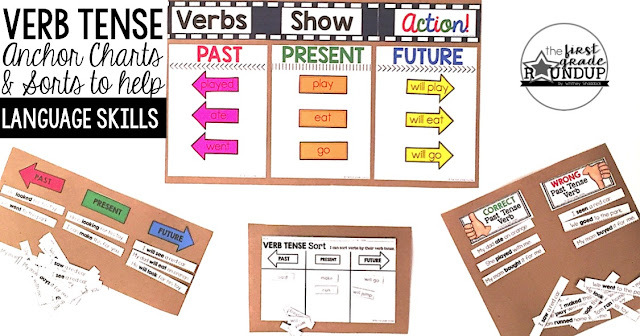 Check out my Verb Tense Sort and other language ideas for our sweet ELL babies in my TPT store! 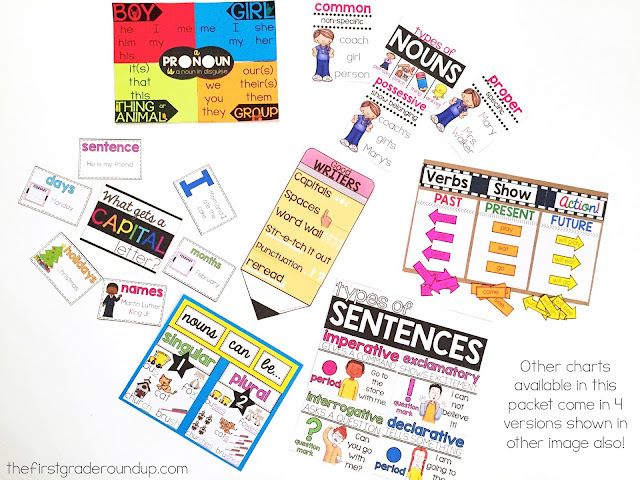 And find TONS more language and grammar anchor chart templates HERE.